Singapore is one of those places that never lose its charm no matter how many times you visit. Explore the city on foot or on rented bike and you’ll see what we mean; let’s see what are the 10 key points you have to discover! The meandering side streets and alleys lead to hidden art galleries and boutique stores and coffee houses that serve up a storm. Singapore’s unique culture, an amalgam of Malaysian, Chinese, Indian, Korean, Japanese and others offers a unique cultural perspective. Absorb the cultural ethos, the wonderful architecture both colonial and ethnic, and the unbelievable food that’s uniquely Singaporean. 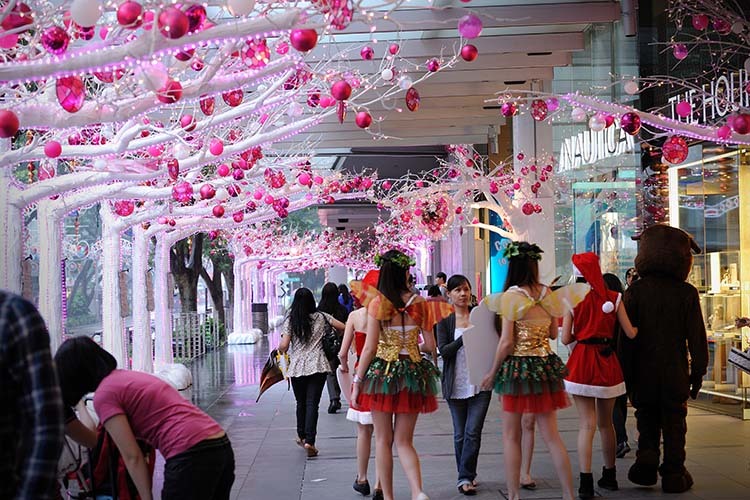 Do save an entire day to relish the shopping on Orchard Road, one of the most iconic streets in Singapore. You can compare the significance of Orchard Road to Hong Kong’s Nathan Road or London’s Oxford Street. Orchard Road is flanked on both sides by many department stores and malls, selling both local and international fashion items as well as the cultural epicenter of the city. Hurry and book your Singapore visa online and make it to the city in time for the next grand occasion. 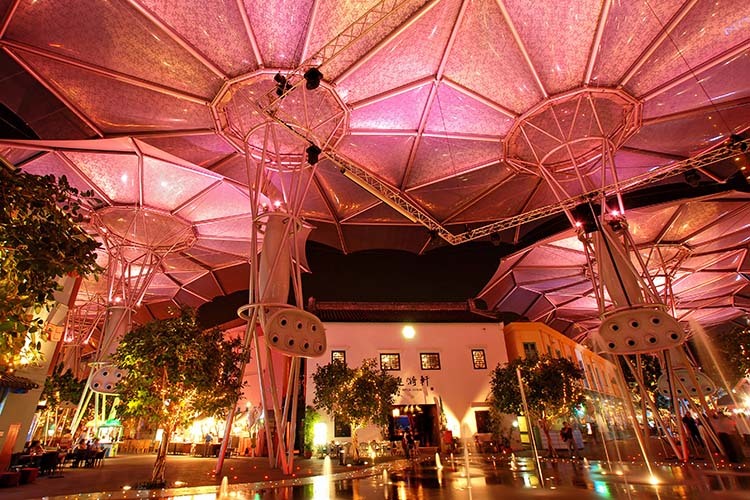 Clarke Quay is a delightful riverside development, chock-full of restaurants, thrumming bars and pumping clubs and boutique shops. It’s a famous tourist hangout, which attracts a steady stream of tourists and local party animals. It lies right at the edge of a picturesque body of water that comes out of the Singapore River, and there are many outdoor eateries set along the Quay, right at the water’s edge. The roof is one of the highlights of this area, which is a shoppers’ and bar hoppers’ heaven. 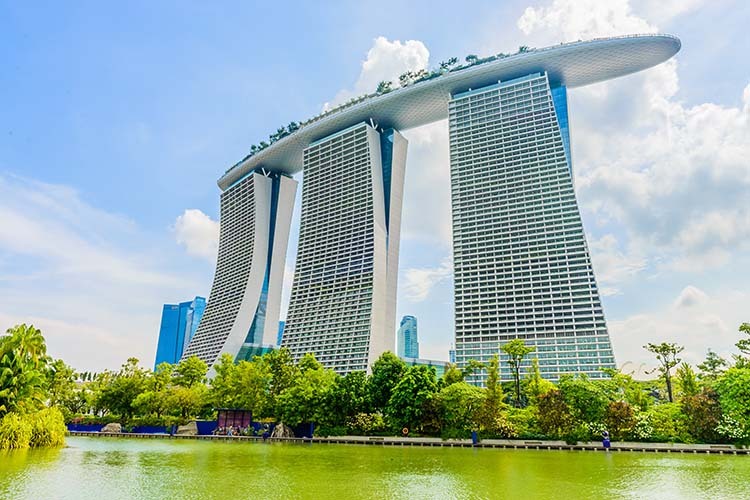 The Marina Bay Sands Complex is one of Singapore’s most spectacular areas, where you can enjoy the famous Science Museum, Casino, several top bars and clubs and tons of shopping places. The highlight is the Lights and Sounds show at exactly 8 P.M. each night, when the Walls of the Marina Bay Resort is lit up with psychedelic multimedia displays. This show illuminates the water for quite a distance, bringing to light several icon landmarks. 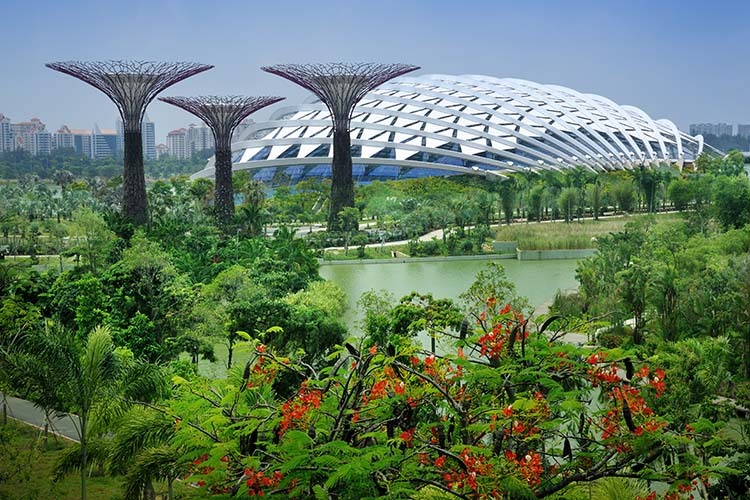 Gardens by the Bay is an enormous, futuristic park that is set close to Singapore’s bay area and was awarded the World Building of the year at 2012’s world Architecture Festival. The gardens are famous for the Supertrees that are made out of metal and wood. They are connected to each other via an impressive skywalk that stretches over the gardens. Surrounding green places also have thousands of rare plants and trees, making it a fun, educational place to linger. 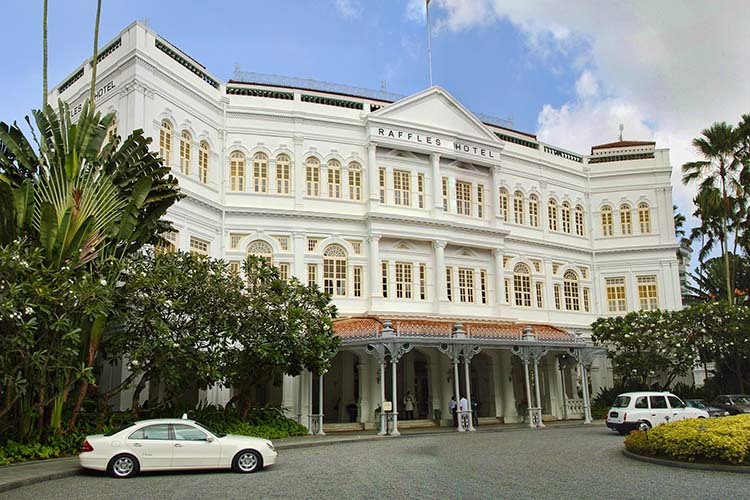 Raffles Hotel is a well-known luxurious, colonial Singapore landmark, which dates back to 1887. A number of famous people have stayed here, including Michael Jackson, Elizabeth Taylor, Queen Elizabeth II and many others. The hotel has 103 suites, a shopping arcade with more than 40 designer boutiques – including Louis Vuitton and Tiffany & Co – and 18 excellent restaurants as well. Just browse the famous artworks on the walls of the Raffles Hotel, you’ll be amazed at how many famous works hang there. 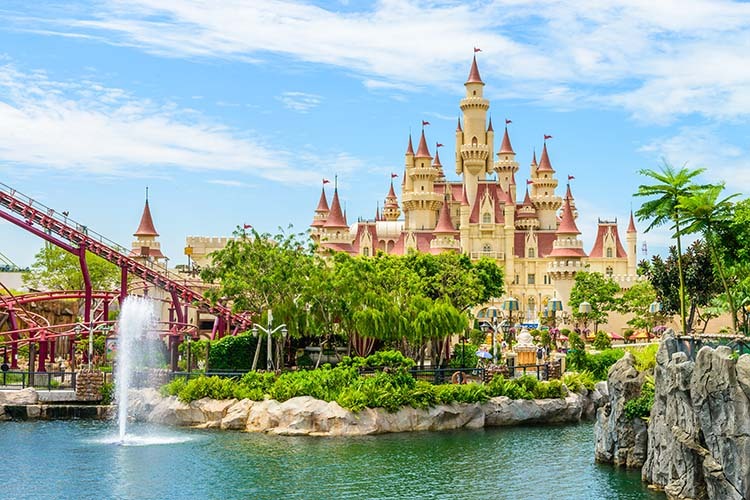 Known worldwide for being the first amusement park of its kind in Southeast Asia, Universal Studios has several zones including New York, Hollywood, Lost World, Ancient Egypt, Madagascar and Far Far Away. 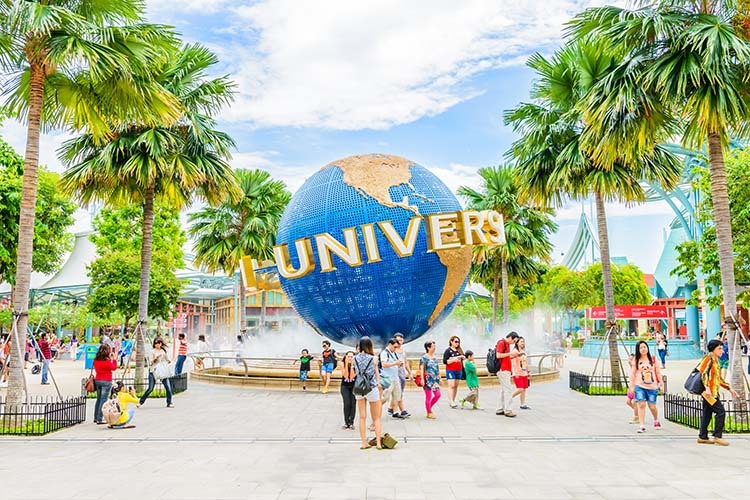 One of the best places to visit in Singapore, Universal Studios has 20 famous themed attractions all said and done, with each one delighting thousands of visitors each year. Two of the rides are water themed and five are adrenalin-jerking roller coasters. Visit Chinatown and you’ll believe you’re actually in China; that’s how authentic this settlement is. There you can try some authentic Chinese food, from some of the countless hawker stalls and food vendors. 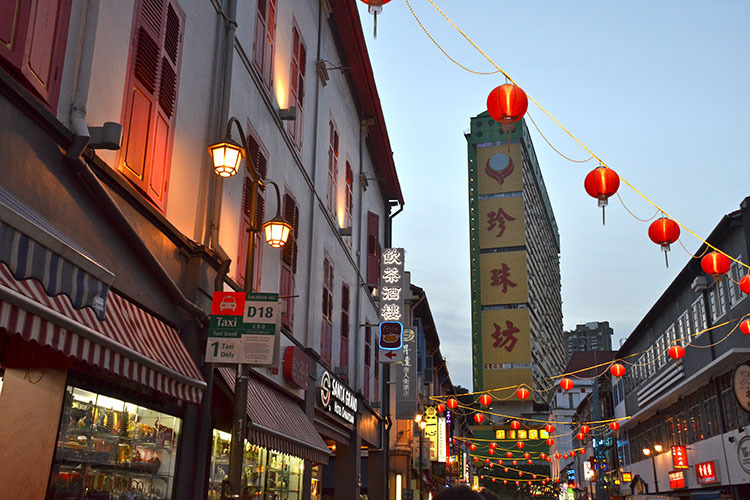 Visit the Chinatown Heritage Centre on Pagoda Street to learn more about the hard times faced by the Chinese immigrants when they founded Singapore. Also check out the Thian Hock Keng Temple, Singapore’s oldest temple and the Buddha Tooth Relic Temple. 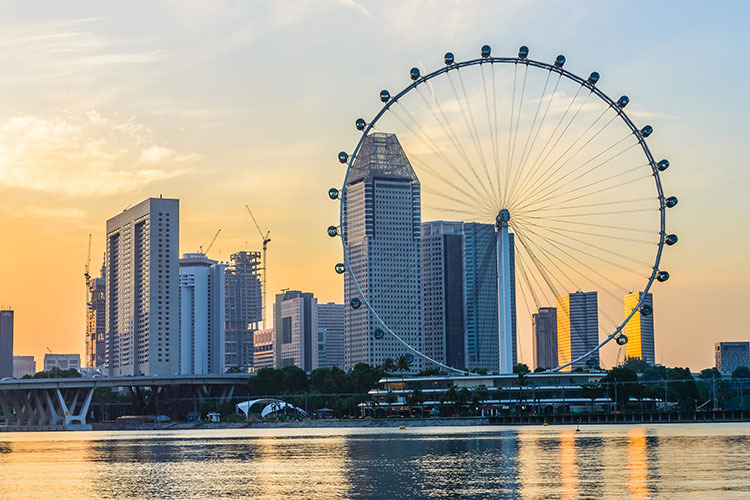 The Singapore Flyer is 165 meters tall, and 150 meters in diameter. On the whole, it is about 30 meters taller than the London Eye. It travels at a speed of 0.21m per second, and offers the most breathtaking panoramic views; you can even sometimes see as far as the Indonesian Islands. Sentosa is a manmade island, built specifically with entertainment and relaxation as its purposes. The island offers several pristine beaches, theme parks, golf courses, and dining and shopping outlets. Take the cable car from Faber’s Peak to get to Sentosa – you’ll love the experience and the views. Sentosa is famous for Universal Studios, one of the theme parks there, famous for its scary and adrenalin-jerking rides. 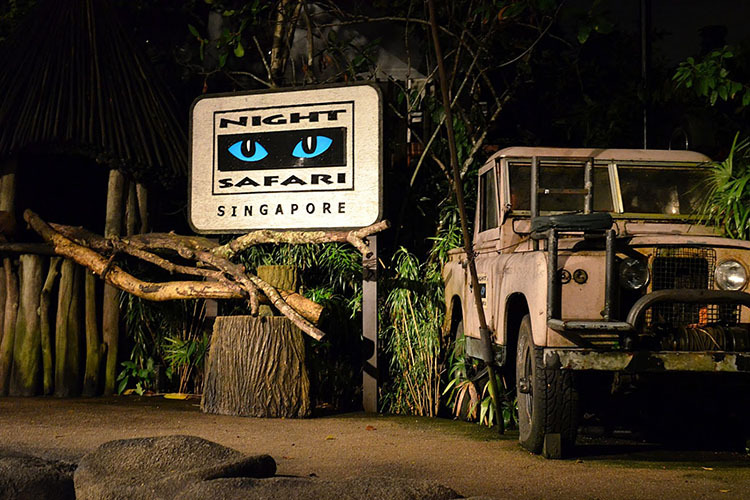 Sign up for the Singapore Night Safari, it is a fantastic and unique experience in several respects. It is one of Asia’s leading conservation and research centers for wildlife, and it offers an incredible look at the nocturnal animal kingdom. You can see more than 1000 nocturnal creatures collected from all over the world. There are over 59 exhibits of wild animals, including Himalayan griffon vultures, wildebeests, gazelles, leopards, Asian elephants, greater one-horned rhinoceroses and many others. 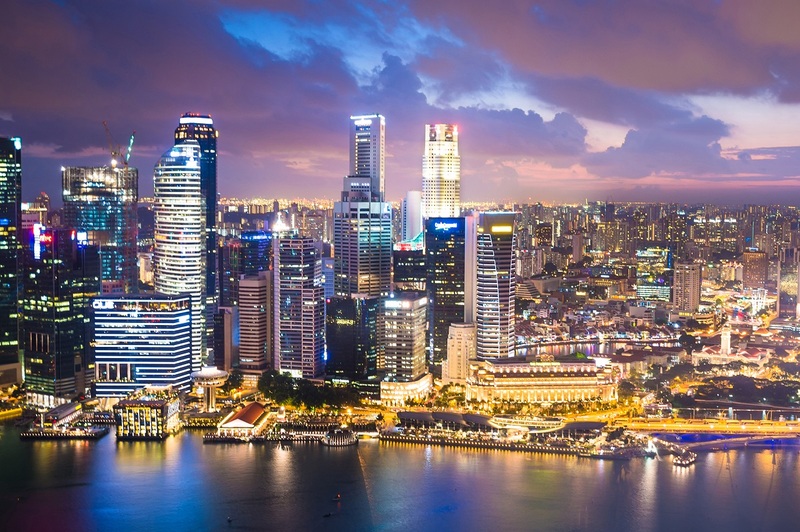 Singapore is a magical city; one that you’ll not easily forget for a long time to come. Whether you are a culture vulture, or a lover of food, or a great fan of art, you’ll be at home at Singapore.